Finesse - Extreme delicacy or subtlety. Finesse fishing is not the same as ultralight. Ultralight describes your gear. Finesse describes your presentation. That said, it is much easier to achieve finesse fishing with ultralight gear. I will go one step further and say it is easier to achieve delicate and subtle presentations with ultralight gear designed for the Japanese Domestic Market (JDM). Japan is a country with lots of fishermen but not a lot of places to fish. The fish are highly pressured, and in order to catch them the Japanese have refined their gear to be able to present smaller baits, and their tactics to achieve greater finesse. Almost every website that even mentions "finesse fishing" is about bass fishing. Almost every website that even mentions JDM rods and reels is about rods and reels for bass fishing. When fishing for trout, though, finesse is not just AS important, it is much MORE important. There's a reason why finesse fishing for bass might mean an 1/8 ounce jig on 8 lb line, and finesse fishing for trout might mean a size 18 dry fly on 8X tippet. Trout eat smaller things, they are more line shy, they are more skittish. When fishing for trout, finesse may not be another option, it may be the only option. American bass anglers pretty much agree that the best, most refined gear in the world is that designed for the Japanese Domestic Market. American trout anglers have not yet come to that realization, but I will argue on these pages that it is just as true with respect to trout gear as it is for bass gear. Perhaps not for fly rods and fly reels, but the greatest finesse with respect to fly fishing in my opinion is not an American fly rod but a Japanese tenkara rod! More on that later. Bass fishing in Japan is a big deal, no question about it. Interestingly, bass fishing became popular there in the 70's about the time that bass tournaments became popular here in the US. Trout fishing, though, goes back hundreds of years (at least). Advancements in trout rods came about as quickly as the technology allowed, with bamboo rods giving way to fiberglass and then to carbon fiber. When I was a kid, Mitchell spinning reels were considered the best (or at least, what every kid wanted). 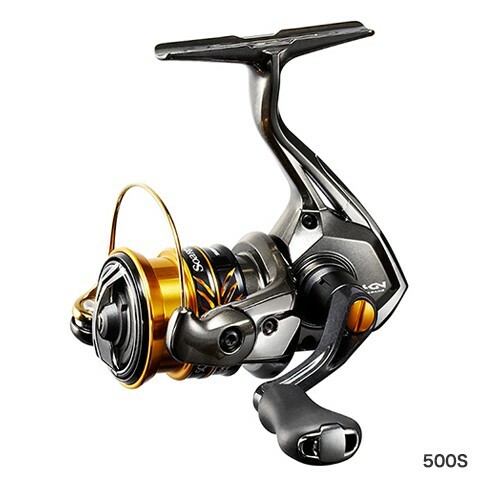 Daiwa started making spinning reels in 1965 and Shimano started making baitcasters in 1978. Now, though, collectors buy Mitchells. Fishermen buy Daiwas and Shimanos. People who want the best reels buy Japanese reels. It is a bit sad that there are Daiwa and Shimano reels that are sold in Japan but not in the US. I think there is a reason for that, though. American fishermen (not all, certainly, but many) are very keen on finding low prices. Japanese fishermen, on the other hand, are very keen on finding high quality. There's nothing wrong with either approach. One is not "better" than the other, but they do result in different products being offered in the different markets. The big Japanese manufacturers know they won't sell very many of the really high end rods or reels in the US - not enough to make it worth their while. If they are not assured of selling a large number of a certain model, it isn't worth the cost of putting it in the catalogs, keeping it in inventory, educating their sales force and trying to convince their dealers to stock it. It's a numbers game, and a half dozen reels here and there isn't going to cut it. Trout anglers in the US will spend hundreds of dollars for a fly rod and hundreds more for a fly reel. But for a spinning rod and reel? No way - or perhaps I should say, not many. That surprises me. Spin fishing for trout can be remarkably effective - to the point where fly fishermen wouldn't believe it. I am sure there are fishermen who would be interested in high quality spinning gear if they knew it existed. I suspect that one of the main reasons trout anglers who are spin fishermen have not turned to the JDM market for higher quality gear is that most probably don't know it exists. No one is advertising it and the gulf between bass anglers and trout anglers is wide enough that the chatter about JDM bass gear hasn't crossed over to trout fishermen (and besides, the chatter is all about bass gear). The magazines that cater to trout fishermen are all about fly fishing. The internet forums and Facebook groups are all about fly fishing. No one is talking about high quality JDM ultralight spinning and ultralight baitcasting gear for trout. Really, though, it's deeper than that. It's not just that no one is talking about JDM gear for trout. No one is talking about spin fishing for trout in streams! It's all fly fishing. The stream rods that are most popular in Japan are 5' - 5'6". Here in the US you would have to look long and hard to find even reasonably good quality ultralight spinning rods of that length - rods actually designed for trout fishing in small streams. The "trout rods" you find here are six and seven foot rods, which are fine for lakes but are too long for fishing a small stream. I suppose they'd be OK if you can drive to the stream and walk 15' to where you will fish from the bank (which is how the spin fishermen I actually see on streams do fish). If you plan to hike in, even a little way, or if you plan to wade and fish the stream the way a fly fisherman would, you'll want a rod actually designed for fishing streams. As bad as the situation is for spinning rods, for baitcasters the domestic market is hopeless. If you looked hard enough, you could find a 5' "ultralight" baitcaster - for about $20. They're not serious. And people who actually are serious about their fishing are not going to be satisfied with a $20 rod. I spend more than that in gas money just to go fishing once. You just can't buy a decent ultralight baitcaster for trout fishing in streams. They don't exist in the US. 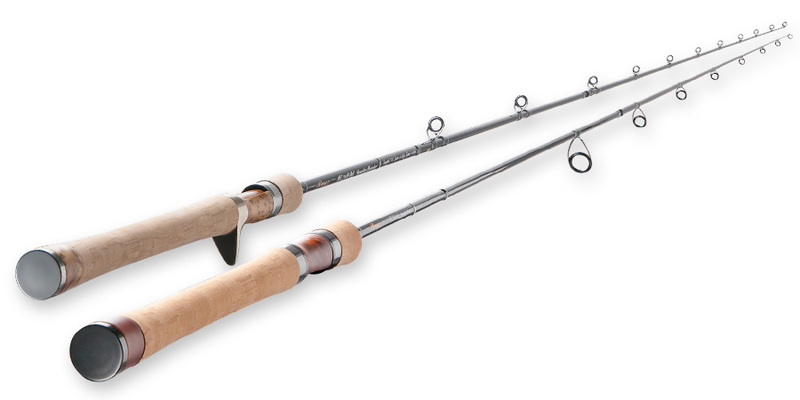 Shimano Calcutta Conquest BFS HG and Tenryu Rayz RZ53UL-BC. Until now. Truly excellent spinning rods and reels, and baitcasting rods designed specifically for trout fishing exist in Japan. Much of it is truly for finesse fishing. I started Finesse-Fishing.com so that American trout fishermen would have easy access to some of the best JDM trout fishing equipment. Some of the same light and ultralight rods and reels are perfectly suited to panfish and will just blow away what are sold as panfish rods in the US. I've been importing high end JDM tenkara (fly fishing) and keiryu (bait fishing) rods for years now (sold through www.tenkarabum.com). Before I started tenkara fishing in 2008, most of my fishing was ultralight spin fishing, ranging from 2# test line for 2-3# smallies in Maine to 6# test line for 3-5# bluefish in Long Island Sound. Seeing what's made for the Japanese Domestic Market, though, I am astounded at the difference in quality of the gear I have now compared to the gear I had ten years ago! Finesse-Fishing.com is a US based, internet-only shop that brings high end JDM finesse fishing equipment to US buyers. The concentration will be finesse fishing for trout, although some of the same gear is ideal for panfish and suitable for modest smallmouth bass in lakes free of wood and weeds. The Abu Garcia Amassadeur 2500c is Done!